Great picture. Looks like coffee brake……..
Oh, is there a farmers market today? I think it’s usually Thursday, but might be too early in the season. Welcome to Minneapolis! I’m glad you’ve decide to come this route and would love to help out in any way possible! Beer, food, bed, more beer? How many phone guys does it take to stand next to a manhole? my count is 10. Great pix, looks like a rock and not a building in the reflection! Thanks for sharing, I follow everyday from Fond du lac WI. My 1st impression was of a giant rock monolith too!! :O]] Really cool picture! Welcome! There is the farmers market today, right on this road which is quite an experience. Please let me know if you need anything… I actually work a half block from where this was taken. I’d love to help out. Reading about your trip has been inspirational, so thank you. Welcome to Minneapolis! If you get a chance, I’d like to recommend exploring the Skyway system. Most of the buildings downtown are connected on the 2nd level by walkways (as you’ve seen, but the readers may not know). It’s its own little trail/maze up there with shops, fun places to eat, and really is a lifesaver during our long, cold, brutal winters. cool photo! I enjoy your photos and stories. Thanks! Though you can’t really see it, the guy in the middle of the pic has a box of Dunkin Donuts! Anytime I drive by a construction site or a public worksite, I either see no one working, or one person working and more standing around watching. Enjoying my getaway each day walking with you. I heard about your quest last Friday through my yahoo home page. I’m a believer that life should be enjoyed when you are young and while you can. Retirement will happen and by that time you “might” have one foot in the grave. I’m 62 now and when I was younger I wanted to travel but couldn’t. I’m so excited for you. It was like reading a novel last Friday, catching up to you as I started at the beginning. I started reading at work and couldn’t wait to get home and pick up where I left off. I love reading you captions under the pix and know that you would “whit it up” with my step-son and son-in-law. Together they are a head-banging riot and the three of you would have to charge emission … quite entertaining. Your parents are wonderful people to support you and even join you on your journey. I wrote and told my grandson about you. He goes to college in Missoula, MT. 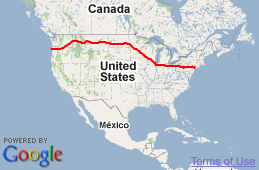 But you are going to be North of there. He loves the outdoors and roughing it. We may never meet but I wish I could be on your list of people that you “May Never Meet again”. Looking forward to the rest of your journey. Finally a chance to catch up with you again — dropped an 8 ft board on my computer in mid-May, and have been without your great pics and comments for several weeks. Glad you’re doing so well… and that your fan club has grown so large! Regards from Sacramento — and do stop by! Are you going to see the biggest ball of twine while in the area? It is a must see! Everyone loves Darwin, MN! Looks like all is well Matt. Keep it up bro. Dave out. Hello from Germany, via Portland Orygun. I am digging your posts, keep em coming. I still think you needed to pack a fly rod but whatever. You should think about going through Absarokee MT and Victor Ideeho. Never give up a chance to see the Absarokee range or the Grand Teets. Life lifting views. 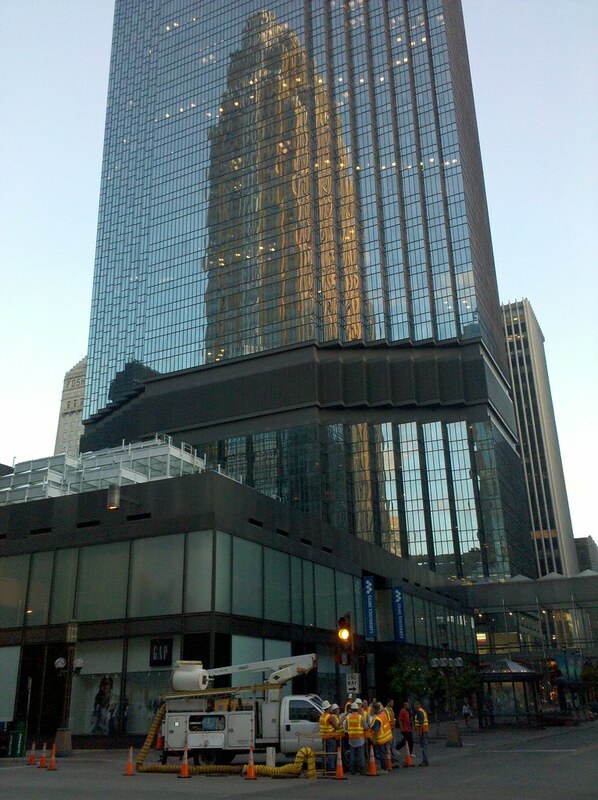 Great picture of the ids center! Its a safety meeting, or at least thats what I tell my boss when we’re just screwing around. Don’t try what they are doing in January. Day 117: Three days too early!